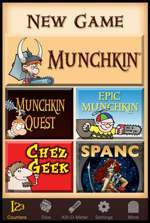 Do you have trouble keeping track of your level in Munchkin? Are cardboard and tokens too analog for your technophile liking? Fear not! 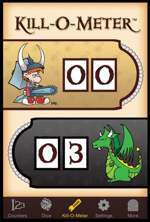 We have updated the Munchkin Level Counter app for all your record keeping needs. The app now works on current versions of iOS, and we've updated some of the graphics as well. 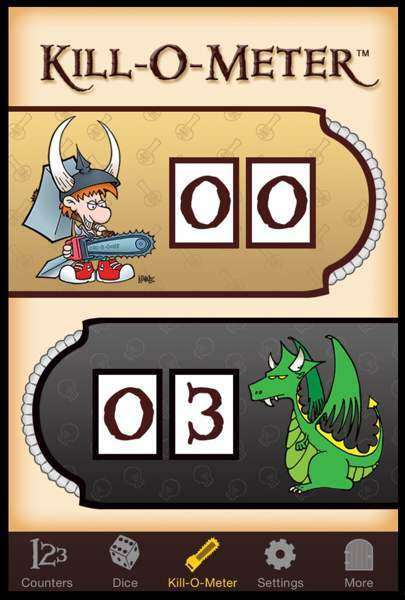 Not only do you get a level counter (obviously), you also get two Munchkin Kill-O-Meters, a digital D6 (which doesn't cheat, promise), and a once-per-game Boon, with illustrations by John Kovalic! The higher your level, the stronger the Boon. 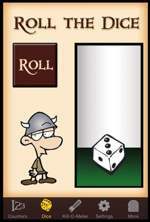 That's right, you can get an unfair advantage by using the app: it is Munchkin of course! And your friends will be forced to listen to a fanfare from the app when you inevitably win, with your new digital companion at your side. 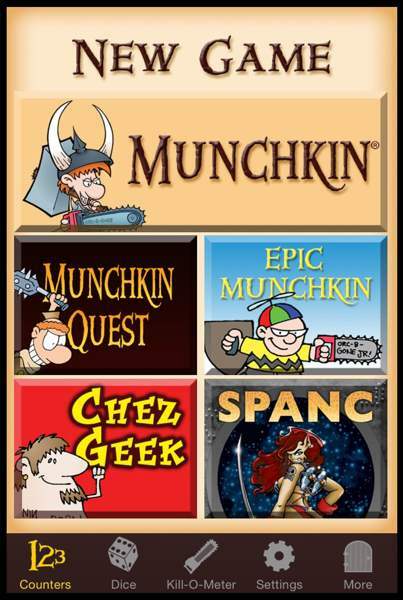 Heck, you even get some added counters for Munchkin Quest, SPANC, and Chez Geek! The app is available for $4.99 on Google Play for Android devices, or App Store for iOS devices. Download your new, digital hireling today!